The other day I hosted my cute cousin’s baby shower at my house and this is seriously my go-to party drink, especially when I need to feed a crowd. It can also be easily doubled if you have a lot of people coming over! In a large saucepan, bring sugar and 3 cups water to a boil and let boil for 5 minutes. Remove from stove top and let cool. 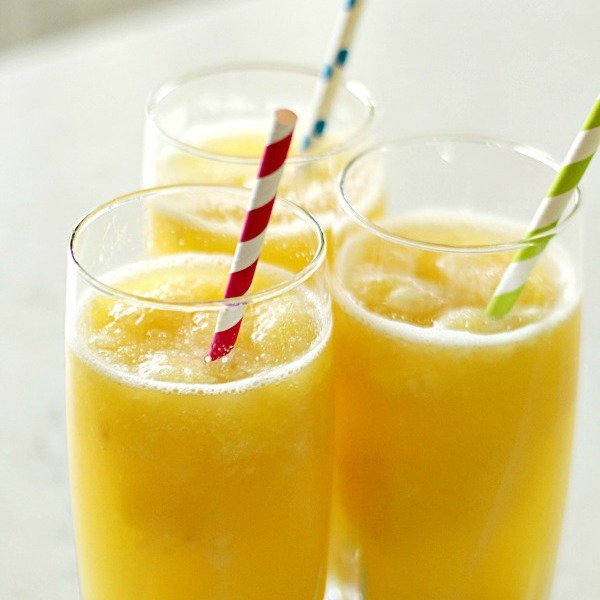 In a large bowl, mix together bananas, pineapple juice, concentrated orange juice, water, and crushed pineapple. Add in sugar water and mix well. Freeze in a covered container for 24-48 hours. Remove from freezer and using a large scoop, spoon into a large serving bowl. Chop up the large chunks if necessary. Add lemon-lime soda and ladle into cups.